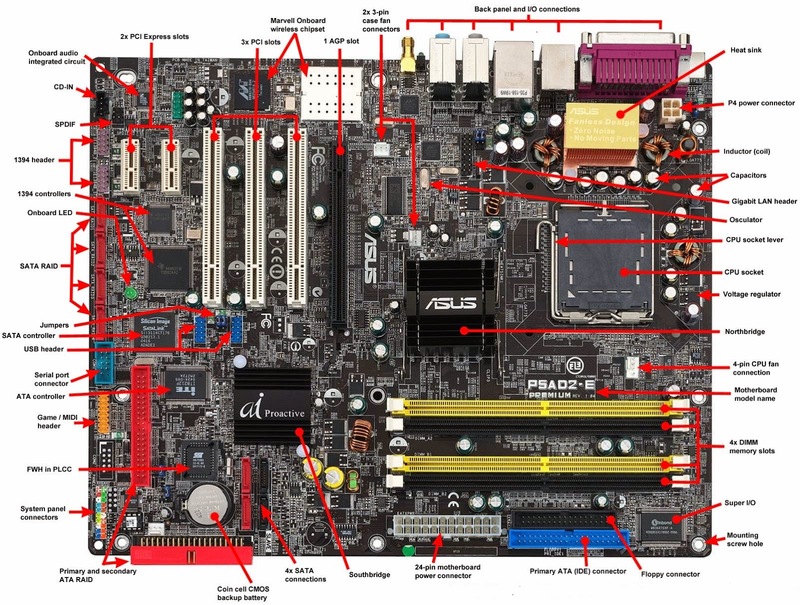 A motherboard (sometimes alternatively known as the mainboard, system board, planar board or logic board, or colloquially, a mobo) is the main printed circuit board (PCB) found in computers and other expandable systems. It holds many of the crucial electronic components of the system, such as the central processing unit (CPU) and memory, and provides connectors for other peripherals. Unlike a backplane, a motherboard contains significant sub-systems such as the processor and other components. Motherboard specifically refers to a PCB with expansion capability and as the name suggests, this board is the "mother" of all components attached to it, which often include sound cards, video cards, network cards, hard drives, or other forms of persistent storage; TV tuner cards, cards providing extra USB or FireWire slots and a variety of other custom components (the term mainboard is applied to devices with a single board and no additional expansions or capability, such as controlling boards in televisions, washing machines and other embedded systems).